Tamil Nadu elections just redefined what and how an election shouldn't be. It ranges from Fake/Real Promises, Freebies and lots of freebies and then playing with the emotions of the normal public. Well, the solitary target of these political parties that makes promises and offers freebies is the lower class. Obviously, they constitute the large section of the Tamil Nadu population. Tamil Nadu is an important state in India because regional politics can define the fate of India. AIDMK proved to be the 2nd largest party in the 2014 Lok Sabha elections. With AIDMK with a clean sweep last time, it is anticipated on how it will fare at the 2016 Assembly Polls. 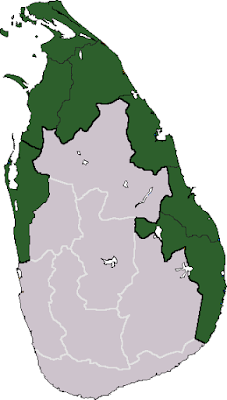 With the polls scheduled to take place on the 16th May 2016, this time, the contest will be open with too many Dravidian parties entering the race. Vijaykanth's Desiya Murpokhu Dravida Kazhagam (DMDK), AIDMK. DMK, MDMK, PMK, BJP, INC, Vidhudhalai Siruthai and many smaller parties have added more excitement factor. And now it's time to announce the freebies. It's funny how these politicians remember common public during the election seasons and lure them through these promises and freebies. Few years back when I had visited Tamil Nadu during the election time, I witnessed that the local candidate was offering free Television sets to the people. Some party announced that they would offer free laptops to students and cycles while some even said that they would waive off the Engineering and Medical fees. Well, so much excitement, huh! All these at the election season, why? Is it that easy to fool common man through the promises and freebies? With the Chennai rains and AIDMK's maladministration still haunting it from the back, other parties have resorted to taking advantage of it and attack it aggressively. DMK's television campaign is too powerful and it seems that it's primary target is Amma, the self-proclaimed Momma of the Tamilians. DMK's campaign for this election is similar to that of BJP's for the 2014 Lol Sabha where Narendra Modi claimed victory and took oath as the Prime Minister of India. 'Sonnangalae Senchingala' and 'Ennama Ippadi Panreengalae ma' ads of DMK have proved to be effective and robust. "Only a mother can know the sufferings of her children very well and I know what my children need.Will you vote? Will you vote for your mother?" It's funny that even some people succumb to such flowery speeches that can attract and change minds. In a do or die situation, DMK has to win this election desperately. Corruption charges kicked DMK out of power last elections and this year with a ruthless campaign of attacking Jayalalitha, they have crossed every boundary. With BJP star campaigner PM Narendra Modi yet to attend a rally in Tamil Nadu, BJP banks heavily on the MODI image. It is quite evident that no Modi wave can change the fate of Tamil Nadu politics. Forget Modi wave, even a Modi drop is not to be seen here in TN. Now let's have a glance at few of the freebies and promises made by the mighty Dravidian and Non-Dravidian parties of Tamil Nadu. 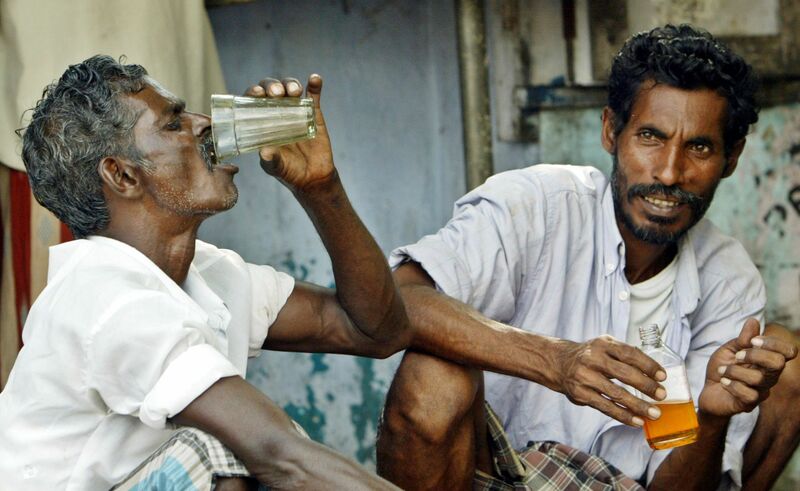 There was a major movement in Tamil Nadu last year seeking a ban on liquor. This will be a dangerous move as many political parties have a direct or an indirect association with most of them. So it will be surprising to see where it goes and how the political parties will work on it if they come to power. Who wouldn't want to celebrate their traditional festival for a long duration? Captain Vijaykanth of the DMDK, announced that he would ensure that there would be a week's celebration for Pongal. All schools and Government offices will have leave. 4. Farmers to learn New techniques and farming technology?! The Captain has also promised that he will send farmers in batches to abroad so that they would learn new Farming techniques. Isn't that amazing? As per his statements, 5000 farmers would be sent abroad every year to learn new techniques. DMK has promised that it will waive off all the educational loans and would prove laptops, mobiles with 3G and 4 G connections. Not enough? Students would get an additional 10 GB download options per month. So , will telecom companies like Airtel, Vodafone, and Aircel shut their operations in Tamil Nadu after this? In 2006, DMK made grand promises of offering color Television and they did that in phases. 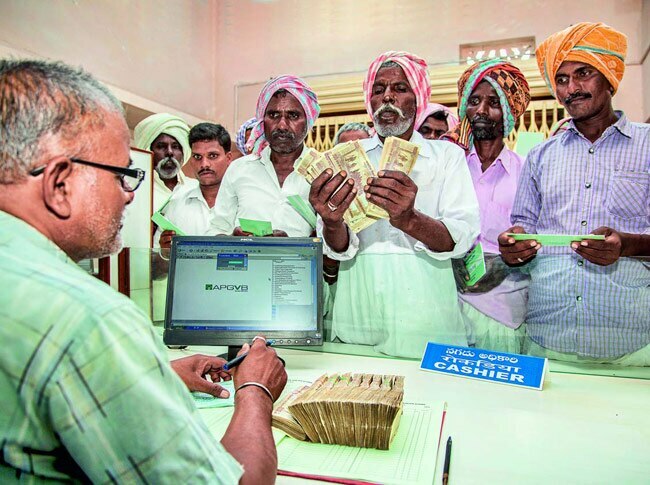 Most of the common promises have been a waiver of educational loans for students and farmers who have taken loans from nationalized and cooperative banks. Wow! How I wish I lived in Tamil Nadu! BJP plans to offer 8 Grams Gold to eligible women below the poverty line for marriage. That's a good move! 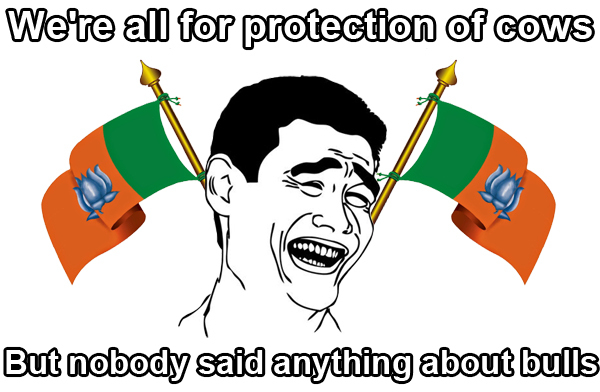 I hope they really do it but sadly the chances of BJP capturing Tamil Nadu is very slim. But lets see! 8. A separate homeland for Tamils in Srilanka? Amma announced that she will work with the center for a separate homeland for the Tamils in Srilanka. I am not sure how this will work. Can pleasing Tamils go this far? Freebie culture always existed in Tamil Nadu but to this level? Kindly vote for the one who is qualified and eligible. If you see the potential in someone and who will work for your constituency, then don't hesitate to vote for them. Just be sure that you vote for the right candidates. Happy Voting and yes, don't fall prey to free things. 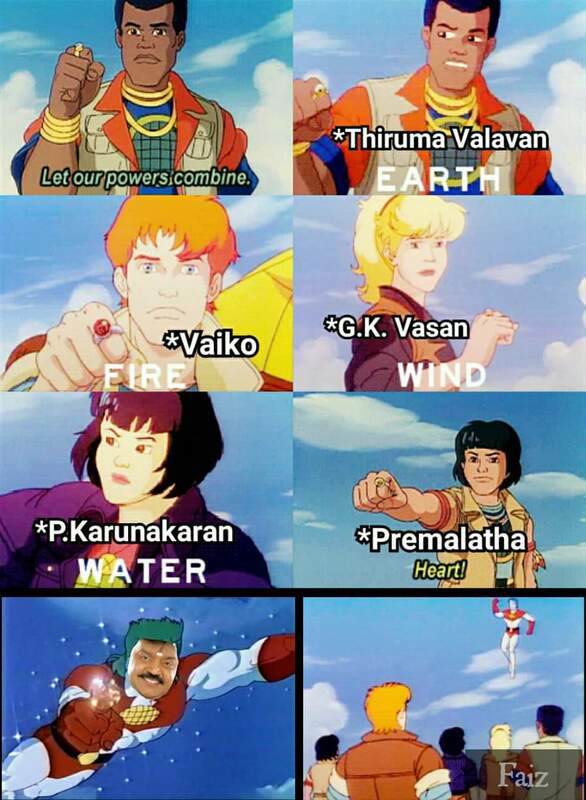 Here is a funny meme about Captain Vijaykanth and his coalition partners. I have nominated you for the Liebster award. Do accept! And I never saw her again..